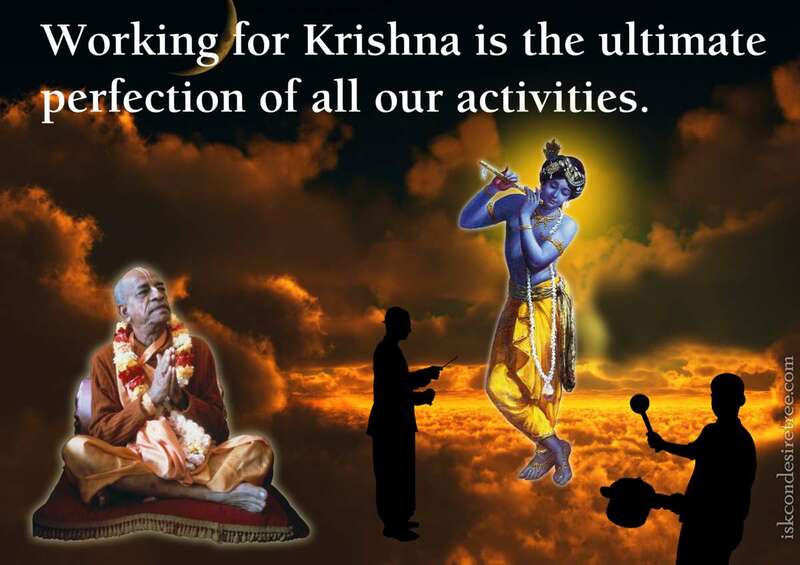 Working for Krishna is the ultimate perfection of all our activities. One should act according to the order of Krishna. This is very important point. That order of Krishna comes through disciplic succession from the bonafide spiritual master. Therefore, the spiritual master's order should be taken as the prime duty of life. 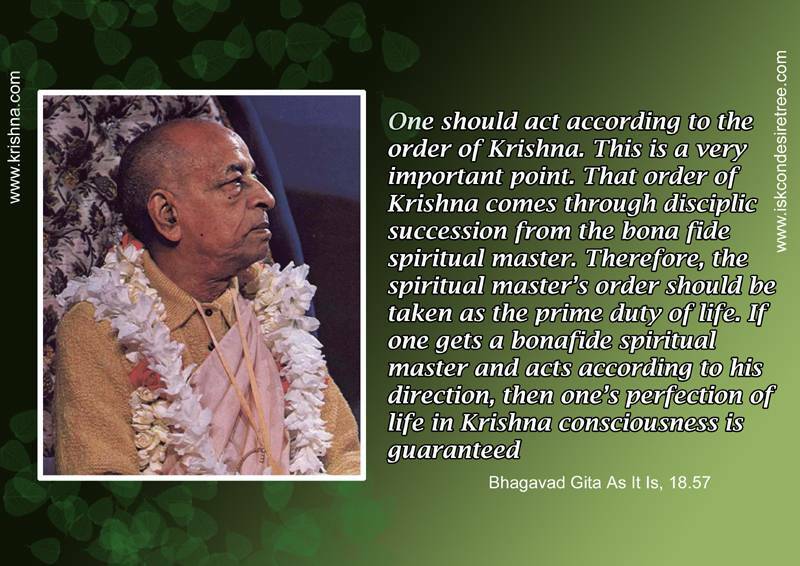 If one gets a bonafide spiritual master and acts according to his direction, then one's perfection of life in Krishna consciousness is guaranteed. — Bhagavad Gita As It Is. 18.57. 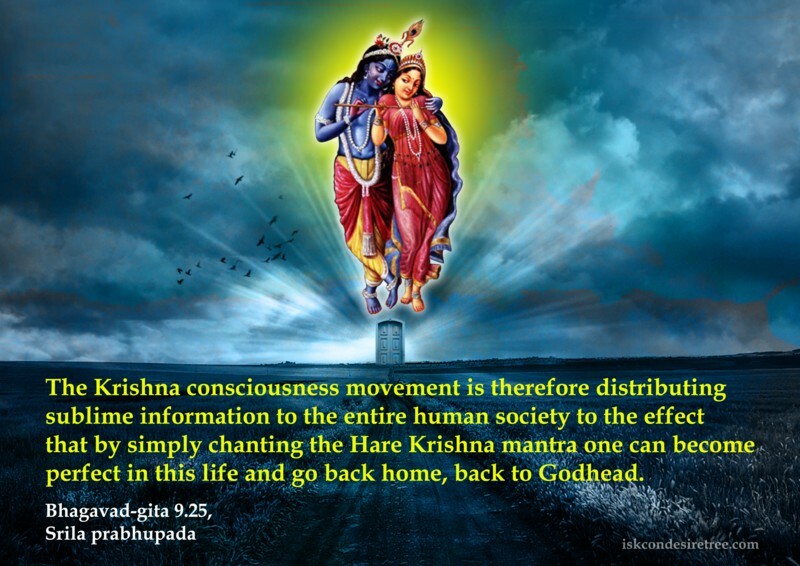 The Krishna consciousness movement is therefore distributing sublime information to the entire human society to the effect that by simply chanting the Hare Krishna mantra one can become perfect in this life and go back home, back to Godhead. If by the tongue you chant Hare Krishna mantra and by the tongue you taste prasadam, you will be perfect, simply by executing these two things. 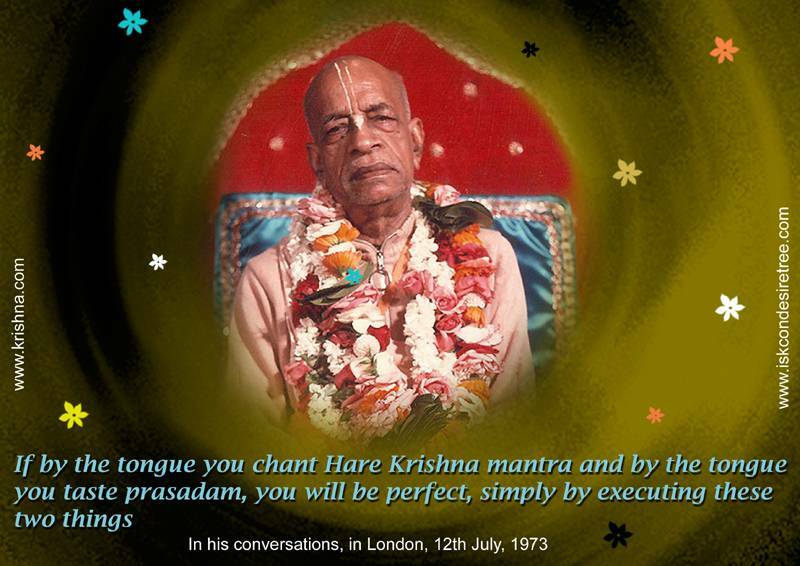 One has to continue chanting the Hare Krishna mantra and preaching the chanting of this mantra because such preaching and chanting constitute the perfection of life. Even in the books of patanjali yoga, it is said that in order to attain perfection in yoga one needs Hari-bhakti. Ultimately devotion is the perfection. Narayana Smriti at the end of one's life is perfection. Normally people end their life thinking of whatever their attached to. If we are chanting the Lord's names and engage in his service then we maintain an attachment for the Lord throughout our life. The Lord will be the common denominator and pivot point in our different activities. Whatever process one is engaging in, this remembrance of Narayana, taking shelter of the Lord is the most important aspect.